Gimp is: GNU Image Manipulate Program. The GNU parts means that like most Linux software it is open source and freely available. Its developed by programmers around the world for the benefit of others. Because the source is open, anyone can contribute and it is constantly being improved. It is image mananipulation with the freedom of Linux and without the price tag of Photoshop. 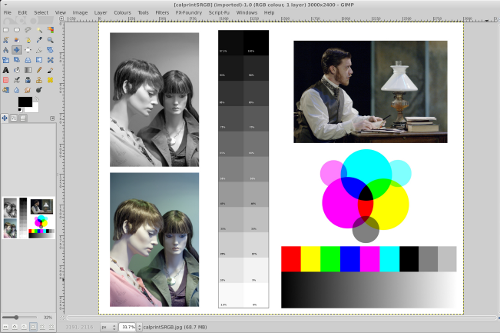 Gimp with the Ufraw plug in will open most RAW files, or you can use Rawtherapee and export to Gimp. A short demonstration of Gimp in action.